Formentera Council president Jaume Ferrer was joined at noon today in the plenary hall of the administration's central offices by Alejandra Ferrer and Daisee Aguilera, tourism and environment councillors, respectively, to unveil Save Posidonia Project. With the councillors were CiF vice-president Susana Labrador, tourism advisory board head Carlos Bernús, and Pep Mayans and Juanma Costa, chairs of Formentera's associations of small and medium-sized businesses and hotels. The president linked the 2017 launch to world sustainable tourism year and called the project “an innovative effort to promote sustainable tourism and deploy a plan to save our posidonia prairie”. Ferrer asserted the project would bear the imprint of all corners of the Council and the local tourism sector as well. “Our aim is to conserve not just posidonia,” he said, “but with it our beaches, landscapes, sea and way of life”. The tourism councillor, meanwhile, portrayed it thus: “Save Posidonia Project will make it easier for us to explain our vision for the island to people from beyond our shores, not to mention the respect for the environment that we expect of the tourists who visit”. For one euro per square metre, businesses and private citizens can visit saveposidoniaproject.org or use the associated app to sponsor any one of the 76,500 hectares of posidonia around Formentera. They can also take part in the campaign by participating in local events like the island's half marathon or Formentera Fotogràfica. Money raised will go towards new posidonia conservation initiatives, said environment councillor Daisee Aguilera, who also took the opportunity to explain the sea grass' particular importance for Formentera. Plus, Aguilera charted a course towards the imminent creation of a body of international, national and local experts to provide guidance on the conservation projects afoot, campaigns which will be backed by prominent non-profit groups. As summer approaches, Save Posidonia Project merchandise will be available at participating stores and hotels, just one of many other features geared towards bolstering the campaign's visibility. The overarching aim, underscored Aguilera, is to protect the biggest and most ancient organism on the planet and one that Unesco declared a World Heritage Site in 1999. 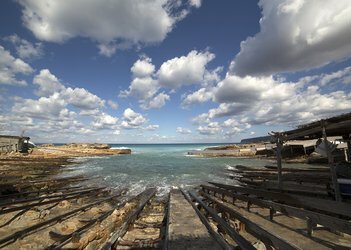 The Formentera Council's Office of Tourism has announced details about this spring's Formentera Fotogràfica, now in its fifth year. From April 28 to May 1, photo and video fans from Spain and further afield will descend upon the island for conferences, workshops, documentary screenings, portfolio reviews and shot-scouting outings across Formentera. Tourism councillor Alejandra Ferrer framed the early season event as a magnet for visitors and a way encourage snapshots showcasing the island's natural beauty. She urged all photo lovers, locals included, to come out strong for the premiere festival. Participating speakers include Joan Fontcuberta, a photographer who is recognised as Spanish photography's "great renovator" and the winner of the 2013 Hasselblad award (photography's Nobel prize). Travel photographer Gonzalo Azumendi will be there to shed light on his day-to-day and share some of his own personal tricks. Txema Salvans will chat with festival participants about his projects and give details about the production, concept and design that go into publishing a book. Besides welcoming José Benito Ruiz, Spain's most renowned nature photographer ever, this year's Formentera Fotogràfica will also play host to a special guest: Manu San Félix, a specialist in underwater photography and long-time resident on the island. Trade councillor Alejandra Ferrer was joined earlier today in the Formentera Council's plenary hall by Pep Mayans and Vicent Roselló, president and spokesman of Formentera's small and medium-sized business association (Pimef), to report on the loyalty programme Compra a Casa six weeks on. Roselló explained that to date 600 cards have been handed out of which 526 have been activated by making one or more purchases. He pointed out that in a month and a half, Compra a Casa cards had been used to buy €100,000 worth of goods for an accumulated €1,500 in discounts. 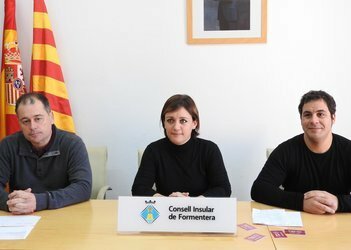 Councillor Ferrer encouraged Formentera residents to sign up for the free card in any member business. Shoppers receive a minimum 1.5 per cent discount in food stores and 3 per cent in restaurants. The councillor reminded those present that Compra a Casa's main goal —to give a leg up to local businesses that operate year round— is reflected in one imperative to adhesion: opening at least eight months out of the year. The Pimef chair extended special thanks to Compra a Casa's 50 member establishments. Any business owners interested in joining should contact the CiF Office of Trade or Pimef. The campaign's associated app, formentera365, will also be pitched to tourists in an effort to educate them on all of the local businesses open through winter. Members who have used the Compra a Casa card in purchases were entered in a drawing to win four €50 gift cards that could be used in member stores. The winners were: Àngel Escandell Tur, who shopped at Expert; Manuela Amador Rodríguez, a shopper at Ofiusa; Remedios Sánchez Amores, a customer at Sant Ferran's BTQ supermarket and Fina Castelló Costa, for shopping at Avenida de la Mola. 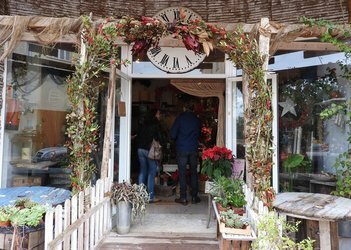 The Formentera Council's Office of Trade has reported that 15,000 purchases were logged on the island this Christmas. Department head Alejandra Ferrer made the announcement after seeing the figures from businesses linked to “Compra a Casa”, a holiday campaign encouraging residents to buy local. Formenterers who shopped at the participating stores were entered in a raffle for 14 prizes. Winners were informed this week that their gift vouchers were available for pick up at Formentera's chamber of commerce, another participant in the initiative. A total of 14 prizes were given out, starting with a weekend for two on Eivissa, rental car and hotel included. That trip, backed by Viatges es Freus, was snatched up by Elena Hurtado after she turned in her receipt at Natural Formentera. A €150 voucher for Majoral jewellery went to Mónica Serra thanks to her purchase at Salón BSB in la Savina. Carbonica Tur's contribution to the raffle –a Christmas ham and bottle of wine– was awarded to Osmari Alzugaray, who had shopped at Detall Nou Estil. Then there was a dégust dinner for two at Es Marès hotel's in-house restaurant. That prize was picked up by José Luis Requena, who had gone shopping at Perfums Formentera. The list goes on. Juan Ernesto, who had made purchases at Sant Ferran's Super Bàsic, walked away with an €80 voucher for Supermercat La Savina. Maria Ferrer Ferrer got her €50 gift certificate for Can Jeroni pastry shop and bakery. Ferrer had shopped at Pescadería Federico, a fish monger. Dinner for two at Restaurant Acapulco was awarded to Remedio Sánchez, a shopper at Supermercat BTQ. Julien Jean-Louis made a purchase at Brico Paya and was treated to a voucher for a wash and cut or dye and styling at Raquel's Hairspray salon in la Savina. A painting by artist Sol Courregues will be given to Sofia Pérez thanks to her decision to shop at Pescadería Nuestra Señora del Carmen. Guillem Gil Mir –who dropped his receipt at the Tur Ferrer stationery store– was awarded a voucher for SHELAC nails by the BSC beauty parlour in la Savina. Breakfast for four at Racó des Pa was won by Celestino Valera after she handed in a receipt at Can Manolo. Francisca Escandell, who had shopped at the Marí Serra fabrics emporium, was rewarded with a breakfast for two at the Antoni Blanc fitness centre café. The Council's gift –a pack of books– is for Ana Maria Ferrer, who shopped at Pinocho toy store. Lastly, four tickets to the municipal cinema were nabbed by Catalina Escandell Serra, thanks to Escandell's purchase at Casa Paya. 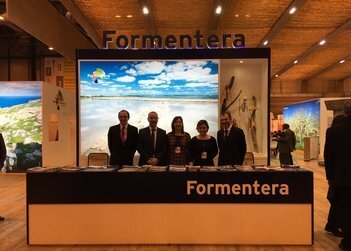 Three members of the local administration –Council president Jaume Ferrer, tourism councillor Alejandra Ferrer and tourism advisory board chief Carlos Bernús– can be spotted extolling Formentera's qualities this week at the Fitur travel show. As Councillor Ferrer pointed out, this year Formentera is at two stands – one representing the Balearic Islands and housed in pavilion nine, and the another, located in pavilion seven, that the island shares with Citroën E-Mehari. Formentera will tout the sporting and cultural events that have steadily gained prominence over the years and turned the island’s pre- and post-season periods into targets for tourists. The plugging dovetails with a Balearics-wide campaign to boost wintertime travel to the region. At the Balearics’ official presentation before Fitur crowds, slated for Thursday at noon, Formentera will screen its 2017 promo video and, according to Councillor Ferrer, “unveil a new green project to safeguard posidonia seagrass”. Riding the wave of 2017’s promotion as Year of Sustainable Tourism for Development. 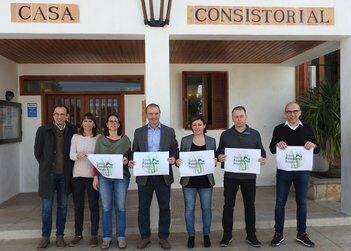 Formentera will continue agitating for electric vehicles, already a years-long movement on the island. Councillor Ferrer explained that one upcoming line of action, fruit of the recent partnership between by the administration and Citroën, included “continuing to swap out fossil-fuel vehicles on the Council's fleet with electric ones”.